Combining science and art gets two types of learning in to one kids’ activity! I always enjoy a good science + art project, and lately have been working with icy art. There’s only so much that I can do with ice at one time before I go on brrr!!! cold overload. So, I’m switching it up and moving on to plants. The other day I was looking at my magnolia tree. It didn’t really bloom well this year because of the extreme cold, but when I took a real look at their leaves I noticed just how intricately beautiful they are. The shape, the texture the tiny veins – and it’s not just magnolias. The flowering parts of plants are sure pretty, but don’t forget about the green stuff too. 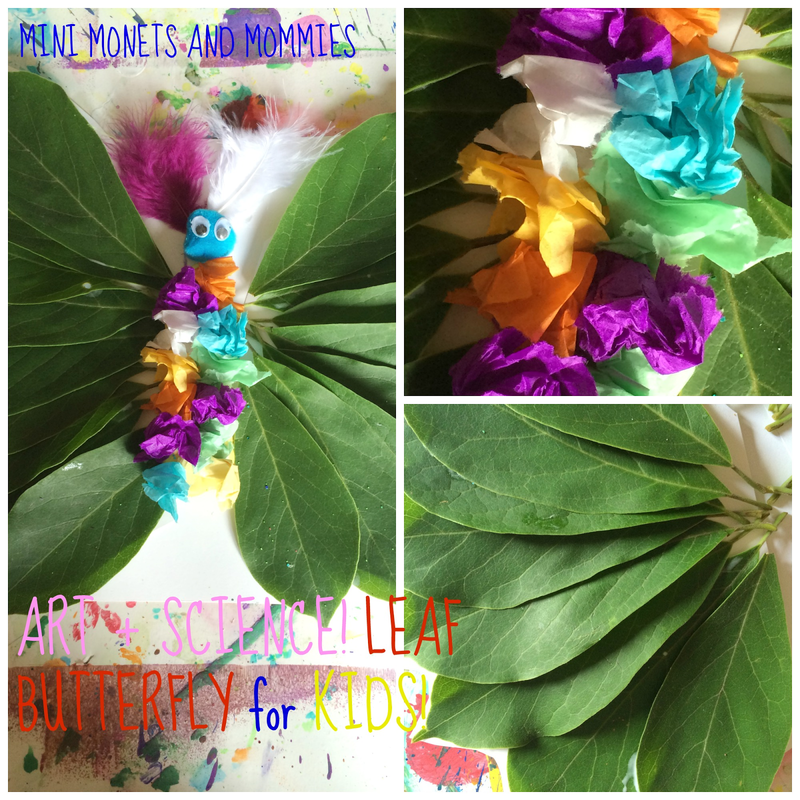 Get out into nature and take your child on a leaf hunting expedition. Collect an armful of fallen leaves and head inside (or set up your art-making station outside on the patio or in the grass). Now your child is ready to transform her leaves into a beautiful butterfly! 1. 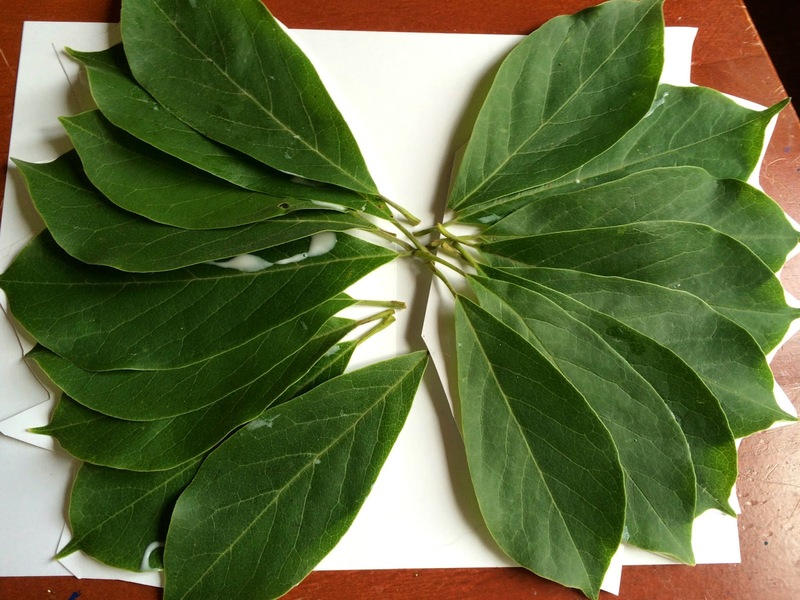 Glue the leaves onto a piece of paper in a fan shape to make one butterfly wing. Repeat this step to make the second wing. 2. Cut the wings out. 3. Place the wings on another piece of paper. 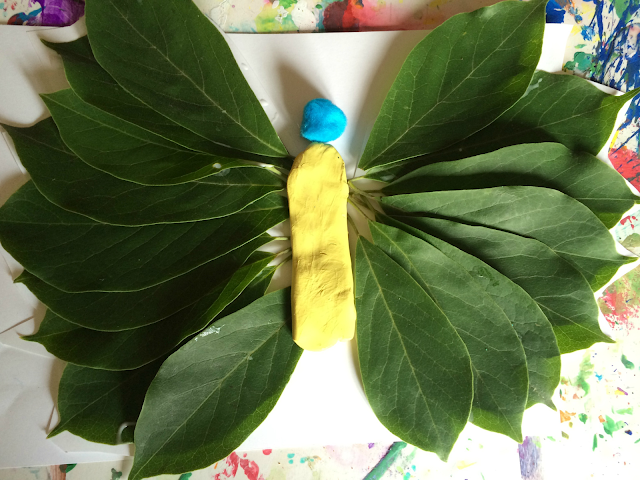 Have your child glue them on to make the general butterfly shape. 4. 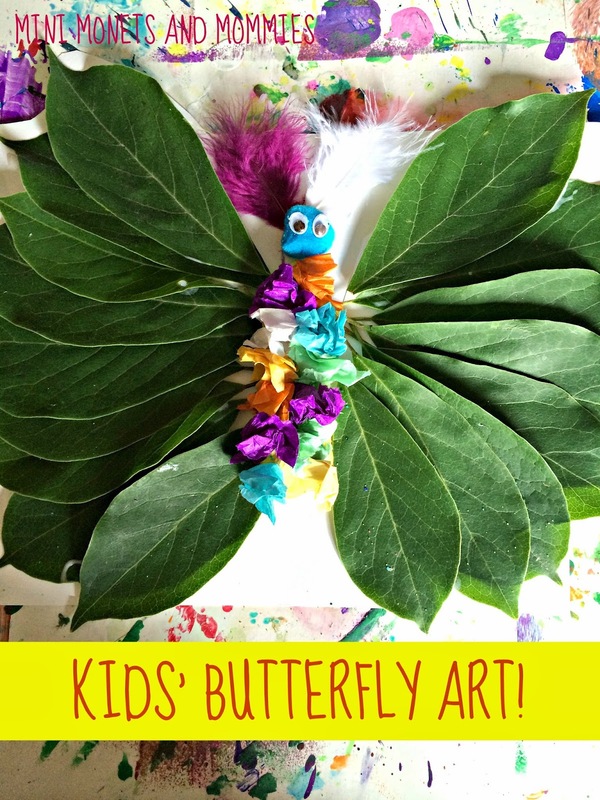 Create a butterfly body and head. Give your child a few different choices. She can glue a line of pom poms down the center of the wings or glue one pom pom at the top (as a head) and make a clay body. 5. 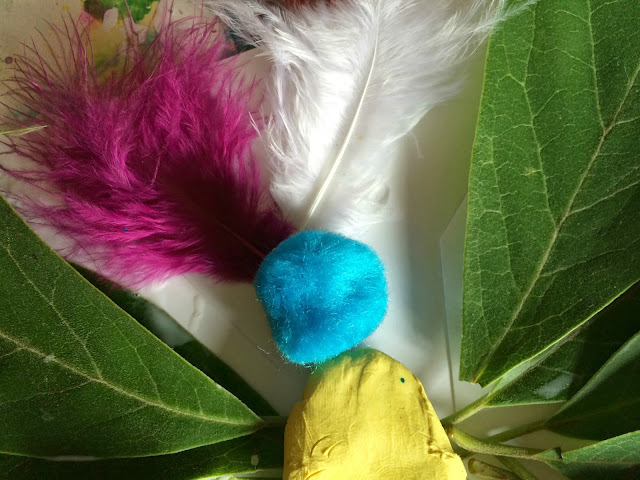 If your child chooses clay, cover it with a textured tissue paper collage. Tear pieces of tissue and have your child ball them up. She can glue them to the clay. 6. Make antennae. Your child can glue two craft fathers, pipe cleaners or draw them on with markers. 7. Glue googley eyes to the head. Are you looking for science and art ideas? Follow my Pinterest board or check me out on Facebook! They turned out beautifully!! I love how you pulled little bits of nature into the project :) Pinning to save for later! Thanks so much! 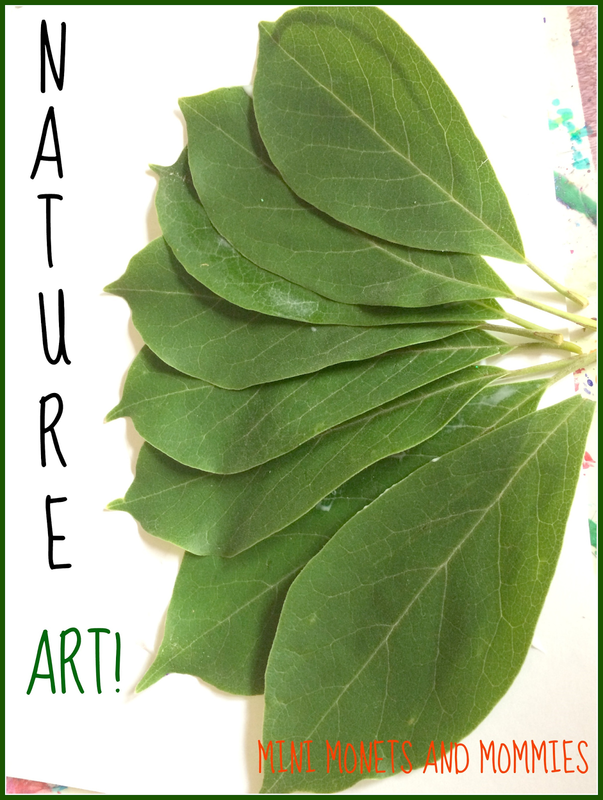 Love crafting with nature! What a lovely idea. I really like the use of lots of different textures for the children to work with. This is so beautiful and creative! Thanks for linking up to the Love to Learn Linky!